Your client has asked your company to subscribe to ISNetworld and now you need safety programs/RAVS that are going to pass ISNetworld's review and you want to know what your options are. You can either buy them or you can write them yourself. I'm going to show you where you can get an unlimited supply of safety programs that are guaranteed to pass ISNetworld review for the absolute cheapest price on the internet. My name is Conrad Cooper and I am the President of Safety Manual Today. We specialize in helping companies become ISNetworld compliant and after 10 years of doing this, I have become an expert at writing safety programs that will pass ISNetworld's review. We only charge $75/month for our ISNetworld services and included with those services you get an unlimited supply of safety programs that are guaranteed to pass ISNetworld's review. And we are going to put all of those safety programs into a safety manual for your company all at no extra charge. In essence, with our monthly service, the safety programs and safety manual are free. Your company logo will be on the cover and your company name will be on every page. And our company name won't be found anywhere in the manual. Here's my offer. Use our services for 6 months. Not only will you receive a safety manual but you'll also get 6 months of our services taking care of your ISNetworld account and making sure it always stays in compliance so you never have to worry about it. And I mean we will take care of everything in your ISNetworld account. From optimizing the Questionnaire to uploading OSHA logs and EMR letters to contacting your insurance agent for certificates and yes, uploading safety programs when new requirements are inserted into your ISNetworld account. If after 6 months you decide you don't need our services, send me an email and let me know that you want to cancel. We make it that easy. There are no contracts and no early termination fees. Cancel any time. We want to make sure that you are comfortable using our service so we won't even email you an invoice until after we upload all of the required safety programs into your ISNetworld account. And if you don't like our safety programs, don't pay. It doesn't get any more risk free than that. Here is what you need to know about me. All I do, every day, is work on ISNetworld accounts and I have been doing this for 10 years. I have helped thousands of companies with their ISNetworld accounts. 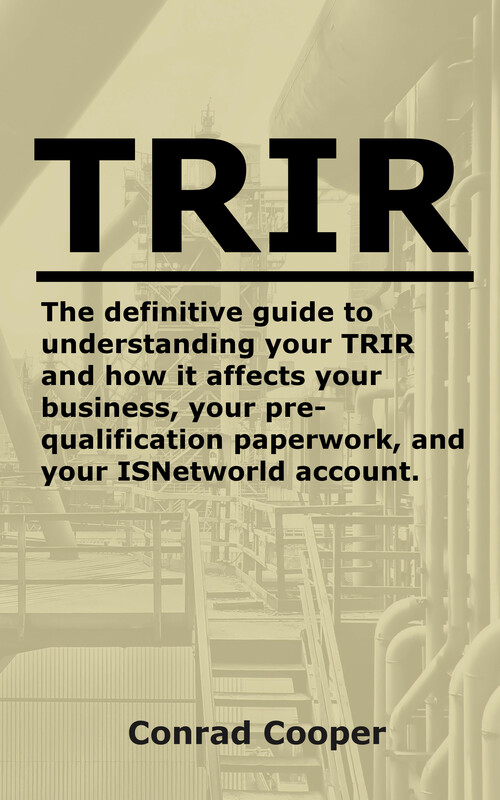 I literally wrote the book on the TRIR and how it affects businesses ISNetworld accounts. Go to Amazon and type in TRIR. My book comes up first. Send me an email or give me a call. I promise you, you'll be glad you did. And if you contact us now, your ISNetworld issue will be taken care of today and we'll upload the necessary safety programs you need today. We are an established company with 10 years of experience offering ISNetworld services at the most reasonable price in the industry with guaranteed results and a risk free trial. We can get to work on your ISNetworld account today, but first, you have to give us call (or send us an email).